Baitock is a traditional mountain, semi-hard rustic cheese made with cow`s milk. It “reflects” the aroma of mountain pastures. 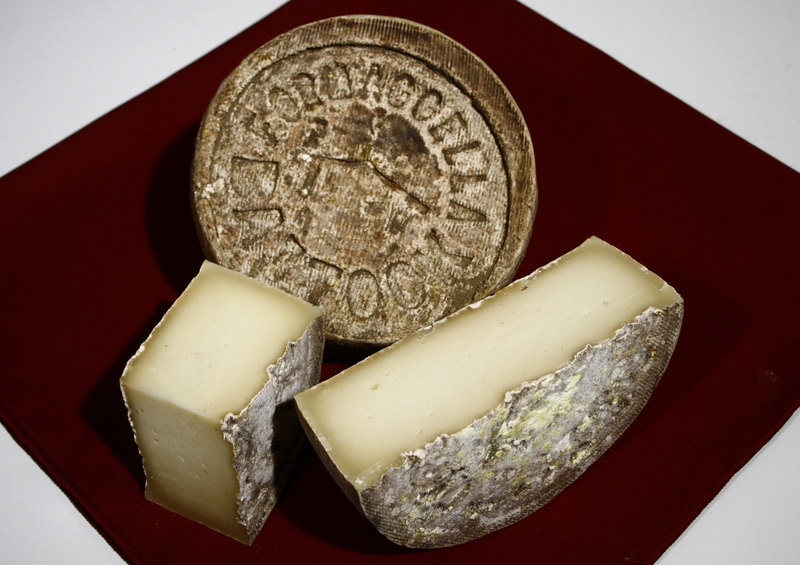 The production characteristics of this cheese are typical of dairy tradition of pre-Alpine valleys. To underline its originality it has the name stamped on it. It is a mild cheese from mountain cow`s milk and as such is soft and delicate but with a distinctive sweet after taste and pleasant aromas. The crust is rustic and rough, natural without preservatives or dyes. The paste is compact with diffuse and small irregular holes. An excellent cheese with polenta, delicious ingredient for snacks accompanied by young, dry, full-bodied red wines. Produced by an artisan-style, family-run dairy business Gildo Ciresa in Italy. Click here to find out more. Ingredients: cow`s milk, rennet, salt. The minimum percentage fat in the dry matter is 45 %. Matured for 3 – 4 months. Store in a refrigerator at + 6 ° C.
This product may be delivered only within the UK.